In addition to being a talented painter, Driana Kai is a PiperMethodTM Certified Level III Dancer/Level I Instructor, and the creator of BellyPowerTM, a mode of physical fitness instruction that incorporates dance, Pilates, yoga, and light weight training. Driana's passion for bellydance started in California with the renowned Jamila Salimpour. When Driana moved to Baltimore, she began rigorous technique classes with Piper, whose mother, Rhea, is a world famous dancer from Greece and one of Jamila's original students. Thus, Driana was able to stay in the same bellydance lineage. This lineage emphasizes proper dance technique to bring optimal beauty out of each move while protecting the dancer for a lifetime of dance. Driana is extremely involved with Baltimore's bellydance community as a teacher and performer but also behind the scenes as an entrepreneur, show organizer and troupe leader. 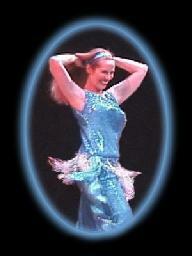 In 2004 Driana became the program and vendor organizer for the Daughters of Rhea Belly Dance Festival, BellyPalooza. 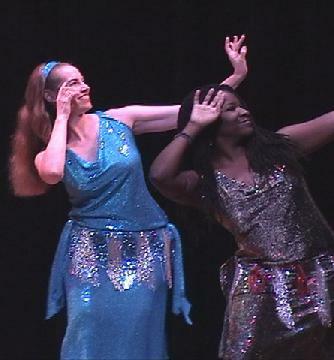 In addition to teaching introductory BellyPower� Workshops as part of this exciting annual event she appeared as a dancer in Belly Dance Magic.